Ike Shehadeh of Ike's Place, where you may or may not have enjoyed a M.I.L.F. with jalapeno poppers from the three-part menu, went to court last week to try to get the law suit against his uber-popular sandwicheria thrown out of court. Unsuccessful, he is now filing answers to the charges against him before the final court date is set. 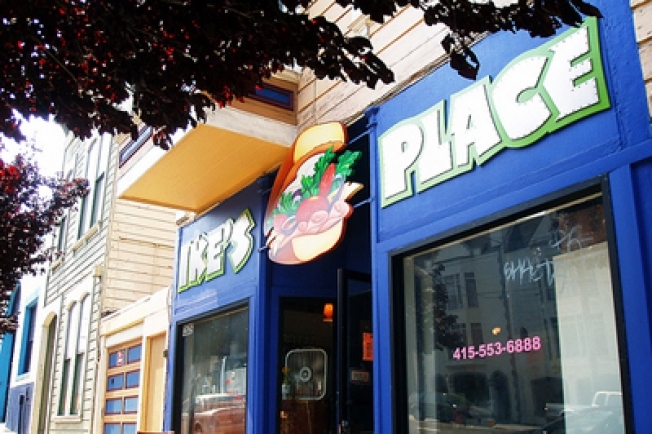 Besides allegations that Ike's is a nuisance, and in violation of health code, the main offense appears to be a violation of his usage permit due to an installed ventilation hood. Ike tells us the City gave him permission to put a hood in, but he hasn't received official word yet from the Planning Commission that his application has been accepted. He fears the City's stance of support may change based on all the recent hulabaloo. "They don't have anywhere else to work," he says. "And they're like family to me." Currently, the City needs to allow his permit and he needs to win in court to keep the Castro shop open. Meanwhile, a small handful of angry NIMBY-wielding neighbors keep attacking the business from every angle. You'll be interested to know Ike tells us he's been visited over 40 times in the last year as a result of complaints: six by the Department of Buildings, 28 from the SFPD, three from Bay Area Air Quality Management, and 14 times from the health inspector. He's scored between 90 and 100 on all health inspections, by the way and none of these investigations has resulted in a conviction or fine of any sort. On top of this, Ike now pays for six extra trash cans, an extra employee to keep his line in control, and has modified his hours so that he now closes at 7 p.m. every night instead of 10 p.m. to modify noise on the streets. A man who seems intent on pleasing everyone faces possible eviction, raising scores of questions about citizen empowerment and neighborhood business regulation. If you're into supporting Ike, written letters to the mayor's office and supervisor Bevan Dufty would be of help. And if you're a neighbor who'd show up in court or even go on to testify, please do email the man at ike@ilikeikesplace.com. Meanwhile, Ike's will remain in operation, "doling out the same love and attention you get at Gary Danko for hundreds of dollars" for as long as possible.